IPA style top fermentation beer with dry hopping. Colour: bright colouring 10 EBC. Ingredients: Water, malt, yeast, hops (4 different origins). 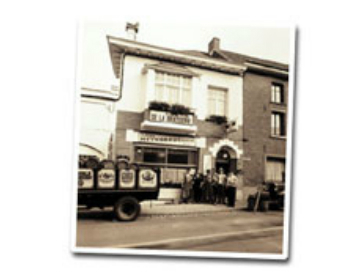 Drinking temperature: serve between 3 and 6° C. Storage: normal for this type of beer. Taste comments: Green Killer IPA is a blond beer that has a perfect balance between malt and powerful hops. The brewing processes ends with dry hopping. The beer has a powerful nose , it contains notes of citrus and spicy touches that come from the hops. 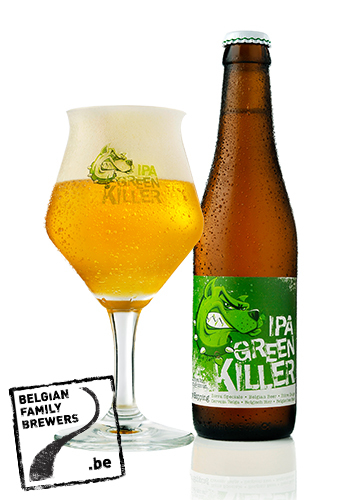 Green Killer IPA has a very nice and powerfull bitterness that ends with a dry aftertaste whilst it’s a perfect combination with the malts.